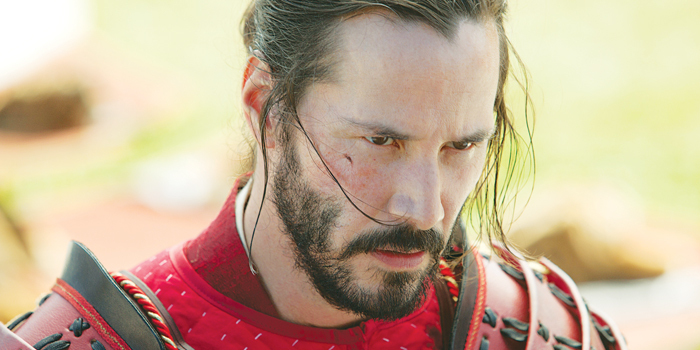 I loved the themes of honor, revenge and sacrifice in 47 Ronin, as well as the tragic love story. I also liked my character which is an outsider trying to regain honor. I was not familiar with the actual legend of 47 Ronin, but when I knew about the project, I researched. My character, Kai, yearns to be accepted. Hea��s honorable but cursed. I was excited to work with the katana, the Japanese long sword, and trained with the expert, Tsuyoshi Abe. Hiroyuki Sanada, who plays A�ishi, also gave me several tips. I love shooting action and was very excited to be in a samurai film. As I was working with professionals, I didna��t really get beaten up much, although I did hit Hiroyuki Sanada a couple of times by mistake.